We are a little over a week away, my friends, from a bazaar that celebrates talent and culture that is our own! Mark your calendar now for the best Filipino Christmas shopping experience. 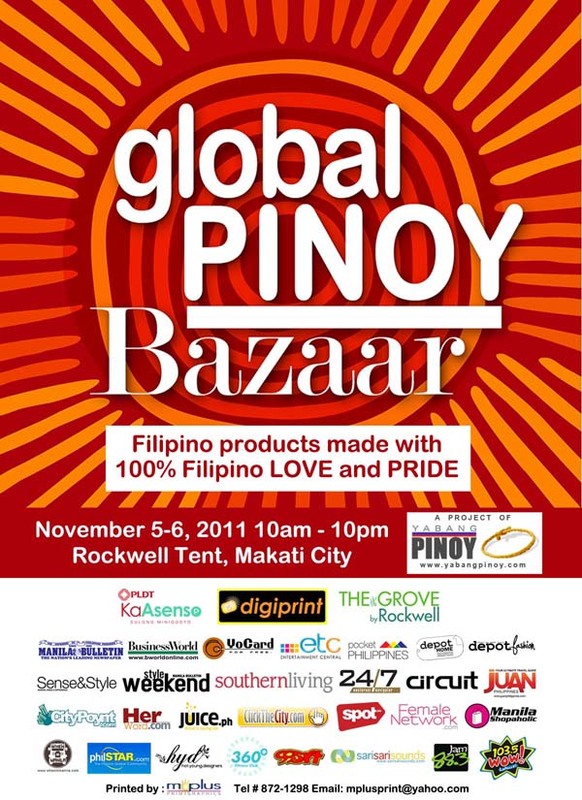 For more information, visit www.yabangpinoy.com, email them at bazaar.globalpinoy@gmail.com or call them at mobile # 0927-826-3926. Now that's all settled, I'll be announcing the winners of my giveaway soon once I've checked the entries! JOIN THE GIVEAWAY HERE! :) 10 people can win 2 passes each to the #GPB11! I know I said I'll end on October 25, but you can try your luck and maybe you'll be a part of the first 10 valid entries! ;) I'll start checking tomorrow. Have a great week everyone and I hope to see you at the bazaar!